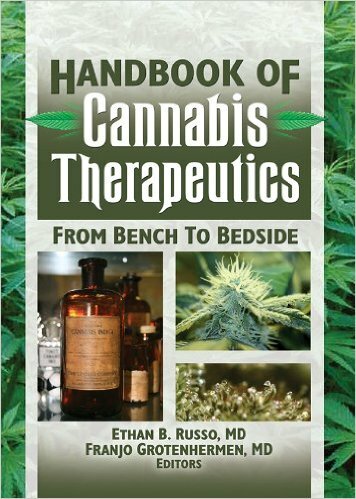 The Handbook of Cannabis Therapeutics: From Bench to Bedside sets aside the condemnation and hysteria of society’s view of cannabis to concentrate on the medically sound aspects of cannabis therapeutics. The world’s foremost experts provide a reasoned, thoroughly researched overview of the controversial subject of cannabis, from its history as a medicine through its latest therapeutic uses. The latest studies on the botany, history, biochemistry, pharmacology, toxicology, clinical use for various illnesses such as AIDS, epilepsy, and multiple sclerosis, and side effects of marijuana are all examined and discussed in depth. This comprehensive resource is a compendium of articles from the Journal of Cannabis Therapeutics—with additional contemporary commentary. It presents startling research that explores and supports the medicinal value of cannabis use and its derivatives as a valid therapeutic resource for pain and inflammation, for several illnesses less responsive to other therapies, and even for certain veterinary uses. Cannabinoids such as nabilone, THC, levonantradol, ajulemic acid, dexanabinal, and others are extensively described, with a review of new indications for cannabinoid pharmaceuticals. The book is carefully referenced to encourage your examination of previous studies and provides tables and figures to enhance understanding of information.